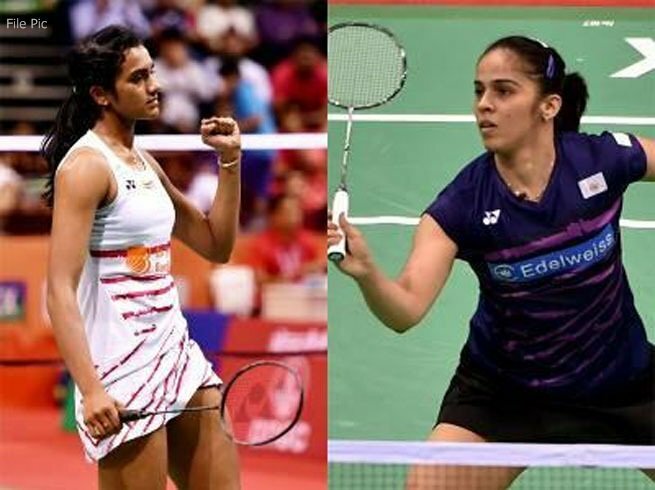 Saina Nehwal and P V Sindhu made a positive start to the new season, reaching the second round of the Indonesia Masters with contrasting wins in women's singles in Jakarta yesterday. London Olympics bronze medalist Saina, had to work hard to eke out a 22-24, 21-15, 21-14 win over China's world no.7 Chen Yufei in a match that lasted an hour and nine minutes. Olympic silver medallist Sindhu, on the other hand, did not sweat much as she dumped local hope Hanna Raramdini 21-13, 21-10. Saina will face China's Chen Xiaoxin, while Sindhu takes on Malaysia's Goh Jin Wei in the next round today. Young men's doubles pair of Satwiksairaj Rankireddy and Chirag Shetty also crossed the opening hurdle after dispatching eighth-seeded Japanese pair of Takuto Inque and Yuki Kaneko 21-15, 21-17 to set up a clash with Chinese Taipei's Liao Min Chun and Su Ching-Heng in the second round. Earlier, Sameer Verma, who recently recovered from a shoulder injury, suffered a 16-21, 21-12, 10-21 loss to Japan's Kazumasa Sakai in a men's singles match. Men's doubles pair of Manu Attri and B Sumeeth Reddy also lost 18-21, 21-16, 16-21 to Lu Ching Yao and Yang Po Han to bow out of the tournament.